If you’re a millennial like me, you grew up learning about the food pyramid in PE class. Bread on the bottom, chocolate on the top. That meant you could eat as much bread as you wanted, right? As fun as it was coloring in the sections of the pyramid, I never had a clue what I was actually supposed to eat. 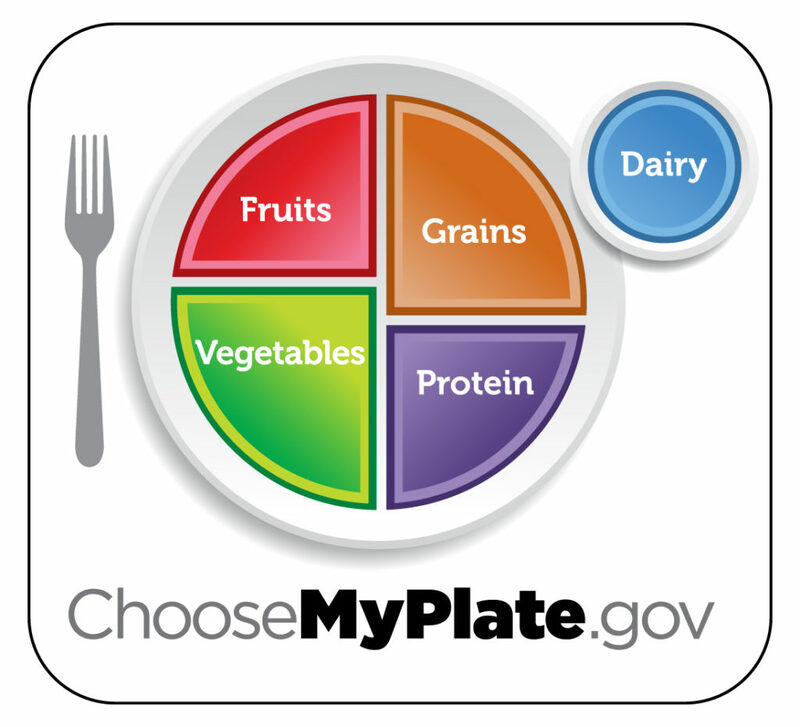 Finally, they did away with the food pyramid in 2011 and replaced it with “Choose My Plate,” an equally useless and even more confusing guide to nutrition. Colorful plates now fill the walls of public elementary schools, pounding into kids heads that each meal must be perfectly portioned off. I’m no dietician, but I know that a portioned plate like this at each meal is simply not feasible. 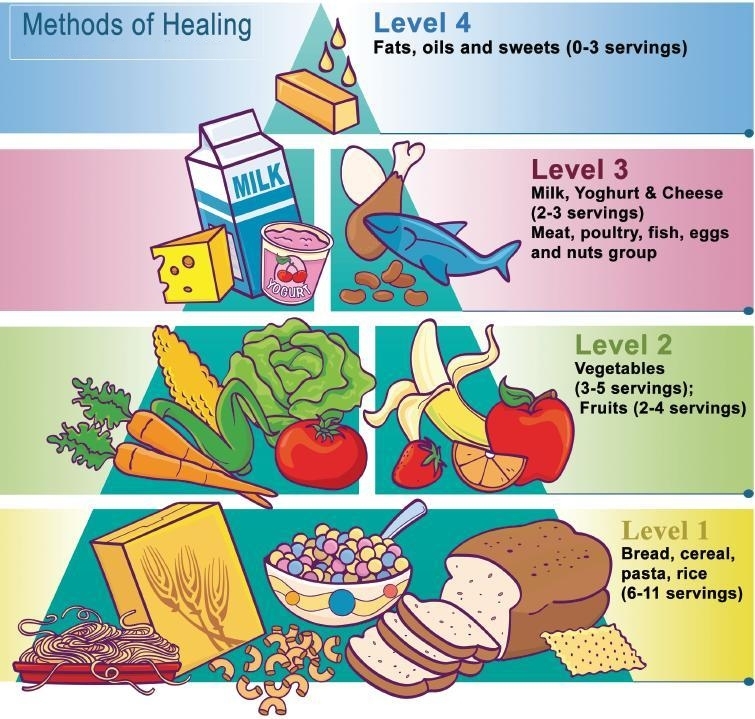 Plus, nutrition is cumulative – daily, weekly, yearly. If you miss out on a serving of veggies during breakfast or lunch, you can make it up during dinner. If you don’t eat vegetables for the first 20 years of your life, you might have problems down the road. The USDA recommends that women and men get approximately 2 servings of fruit and 2 servings of vegetables a day, where 1 serving = 1 cup. But what the heck does 1 cup of raspberries or grapes look like? I set out with my measuring cup to procure a solution and end portion size problems once and for all. 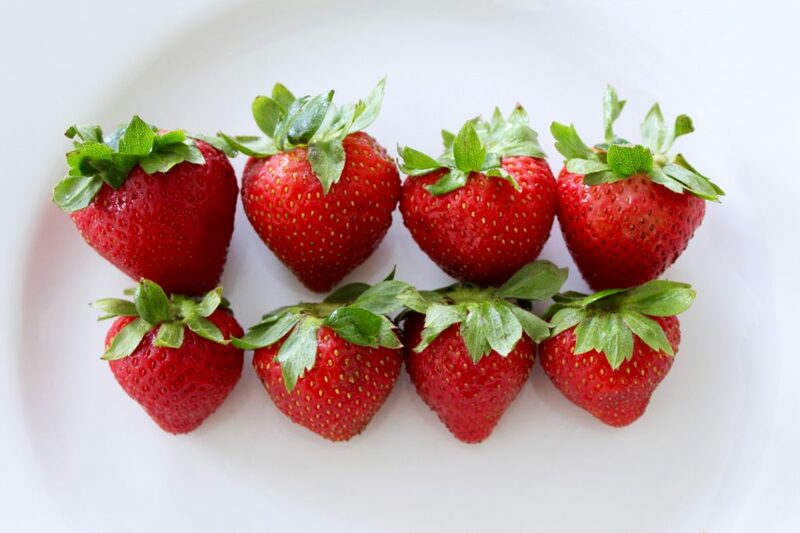 Your serving of strawberries has about 48 calories, 0 grams of fat, 1 gram of protein and 7 grams of sugar. Try making a fresh strawberry salad this summer. 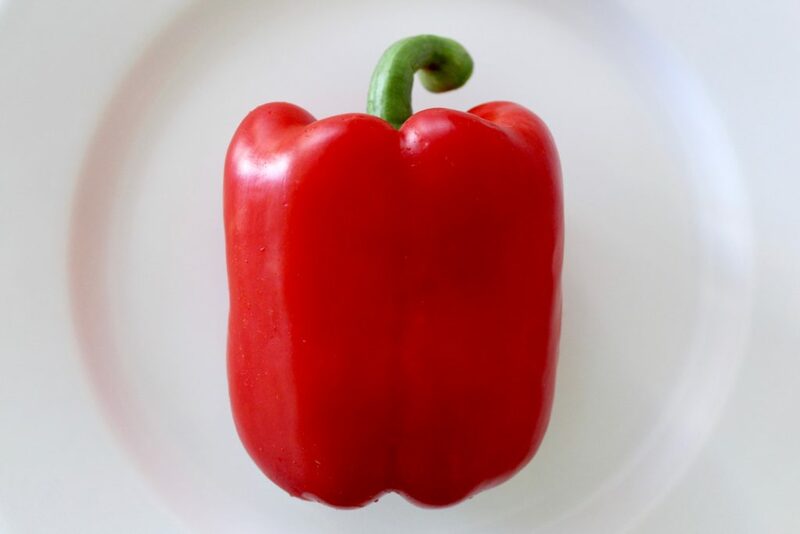 One bell pepper contains 31 calories, 0.07 grams of fat, 1.2 grams of protein and 5 grams of sugar. Read here why you should stop buying green bell peppers. 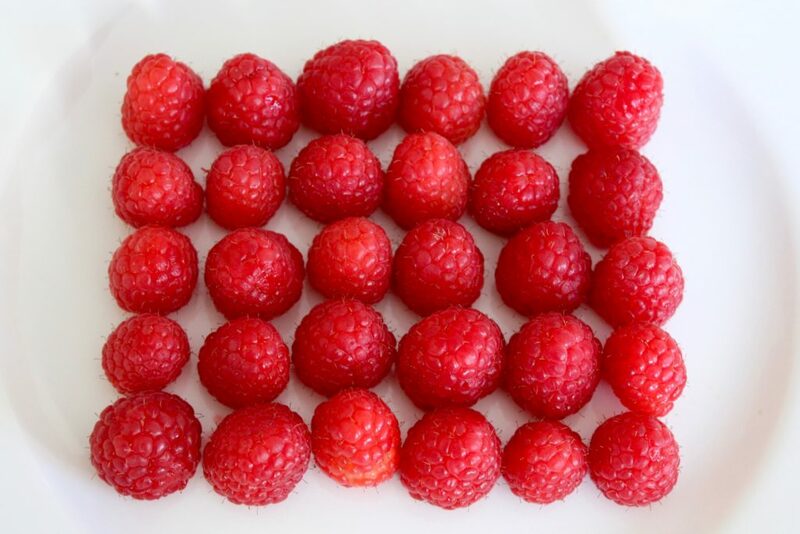 Your serving of raspberries has about 65 calories, 0.8 grams of fat, 1.5 grams of protein and 5 grams of sugar. Try making this raspberry chia seed jam to get in your fruits and Omega-3s. 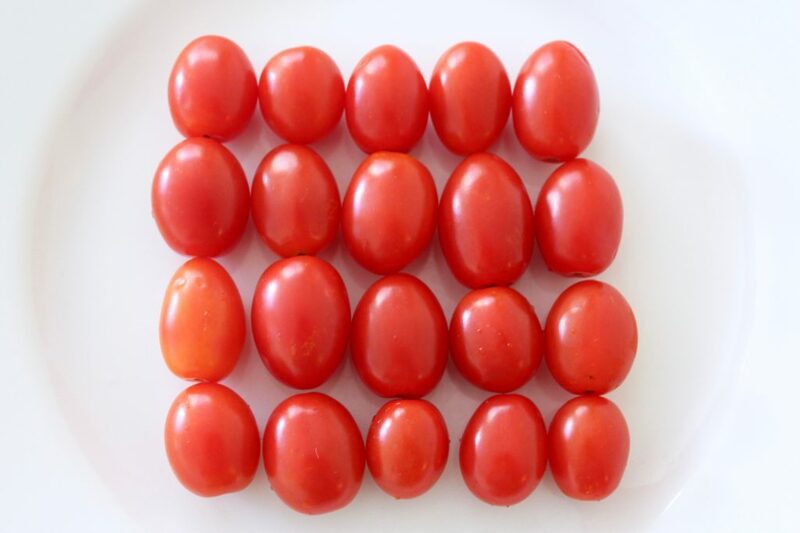 Those cherry tomatoes have 27 calories, 0.3 grams of fat, 1.3 grams of protein and 10 grams of sugar. Peruse these recipes that are perfect for tomato season. 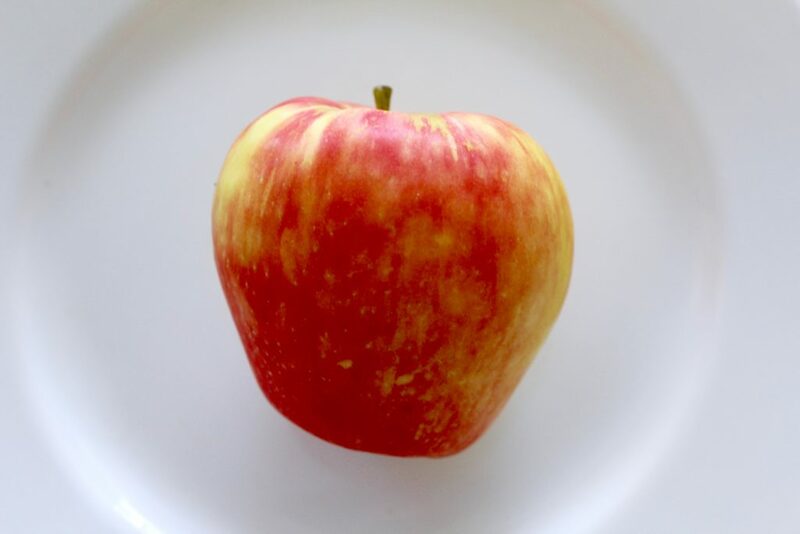 An apple a day will give you 110 calories, 0.36 grams of fat, 0.55 grams of protein and 22 grams of sugar. Make an apple pie inside an apple with this recipe. 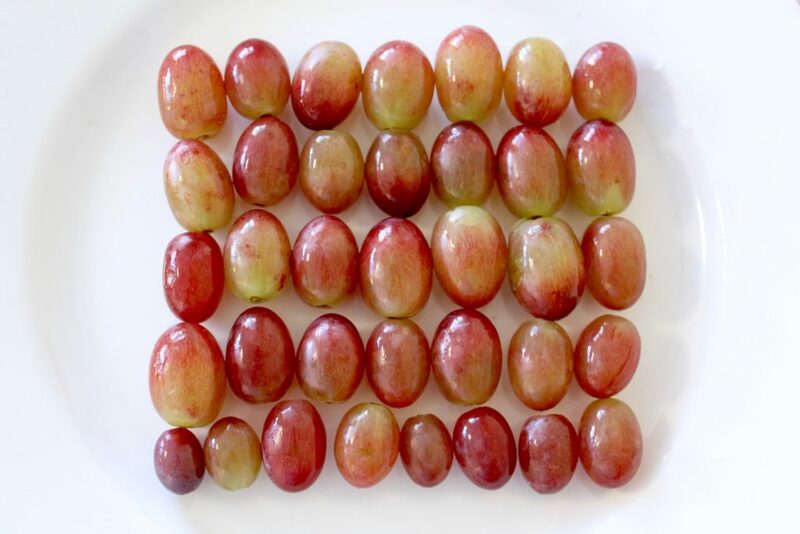 A cup of grapes has about 110 calories, 0.3 grams of fat, 1.1 grams of protein and 25 grams of sugar. Check out here why grapes are the best fruit of all time. 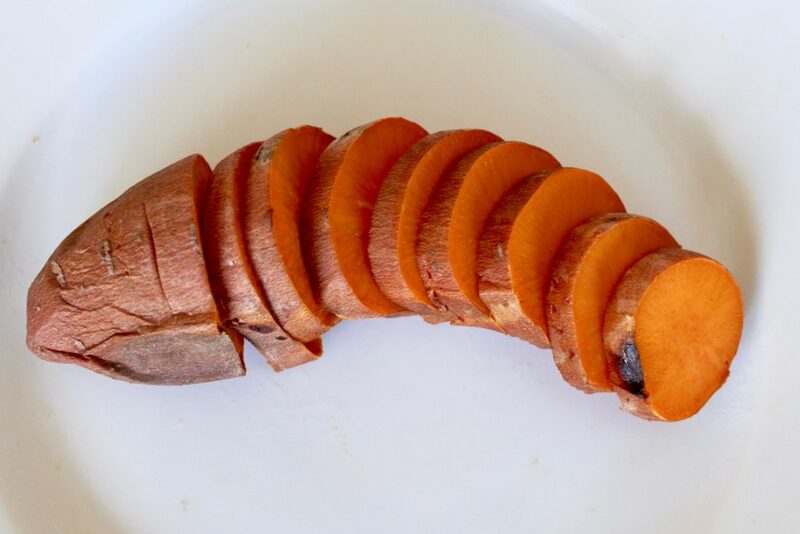 A medium sweet potato has 114 calories, 0.1 grams of fat, 2.1 grams of protein and 5.5 grams of sugar. Make your own sweet potato chips with this recipe. 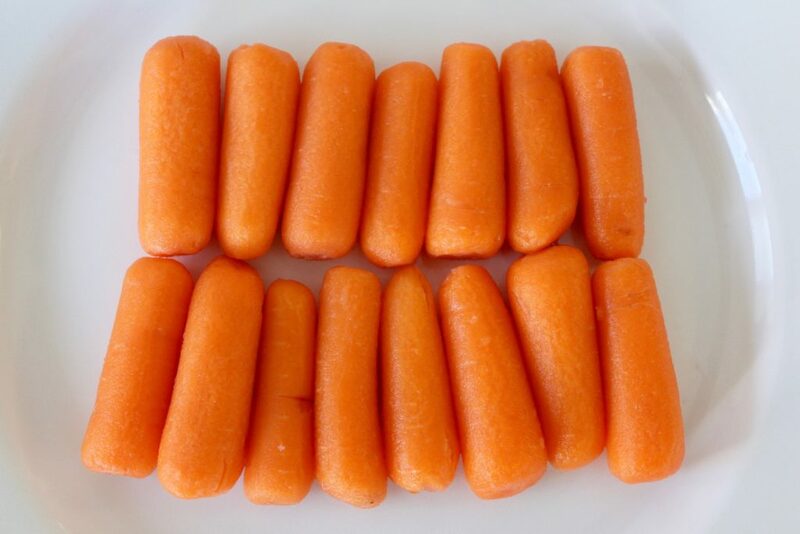 Your cup of carrots has 35 calories, 0 grams of fat, 0.5 grams of protein and 2 grams of sugar. Learn how to easily make roasted veggies with this simple recipe. 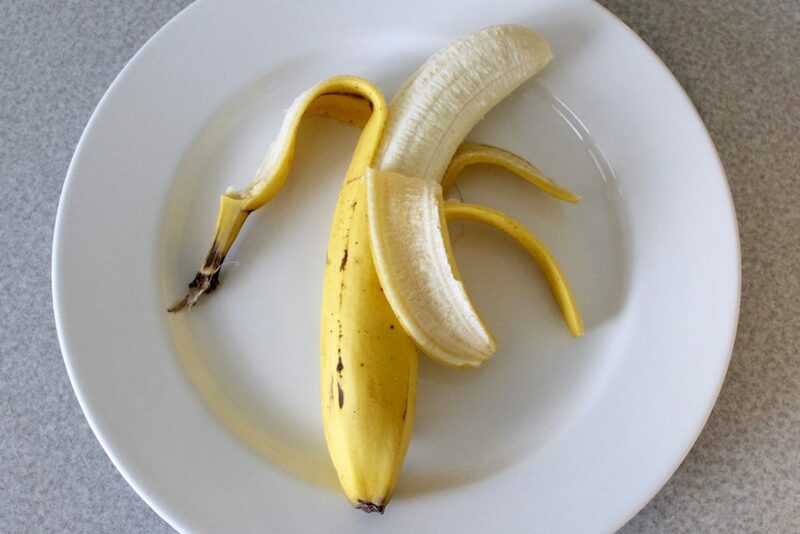 1 banana has about 105 calories, 0.4 grams of fat, 1.3 grams of protein and 14.5 grams of sugar. Check out these 6 ways to tell if your banana is too ripe to eat. That cup of mushrooms contains 21 calories, 0.3 grams of fat, 3 grams of protein and 1 gram of sugar. Click here for everything you need to know about mushrooms. 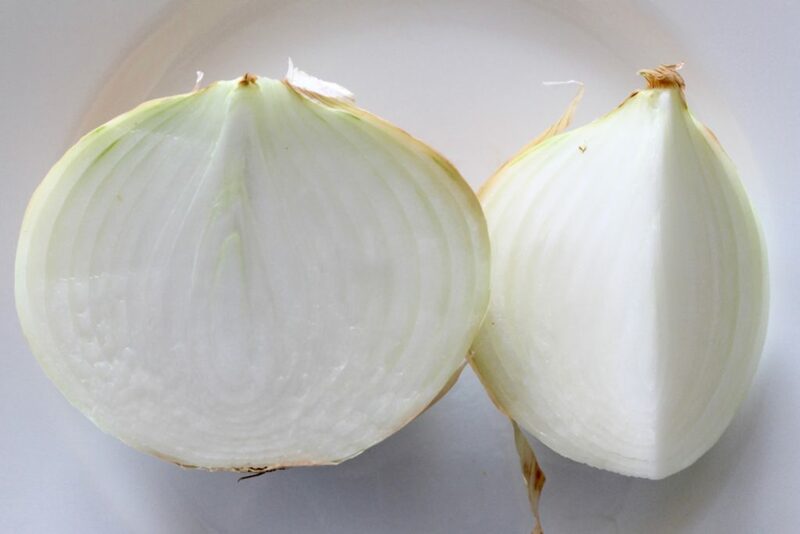 Chopped up, this onion contains about 67 calories, 0.1 grams of fat, 1.5 grams of protein and 6.8 grams of sugar. Finally understand the science behind why you cry cutting onions with this explanation. Your healthy fat favorite contains 234 calories, 21 grams of fat, 2.1 grams of protein and 1.3 grams of sugar. 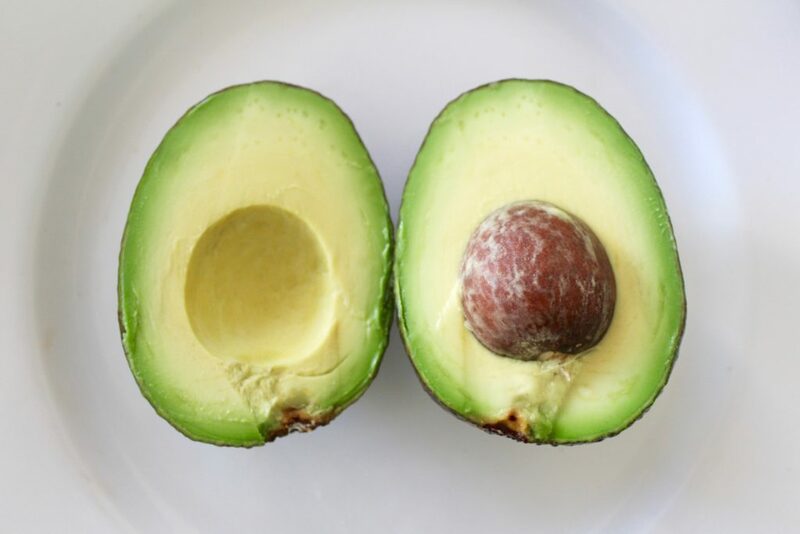 Incorporate more avo into your diet with these 7 ways to eat avocado. 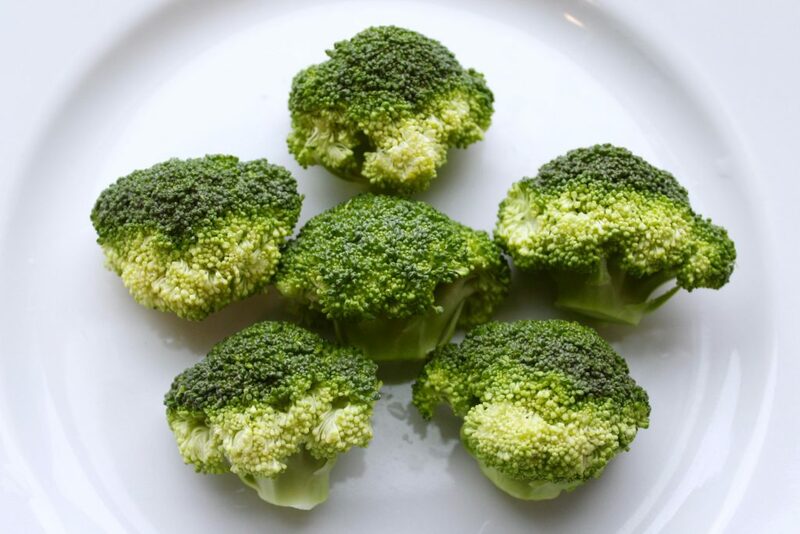 A cup of broccoli has 31 calories, 0.3 grams of fat, 2.6 grams of protein and 2.6 grams of sugar. Don’t throw away those broccoli stems – check out these 6 genius ways to eat broccoli. 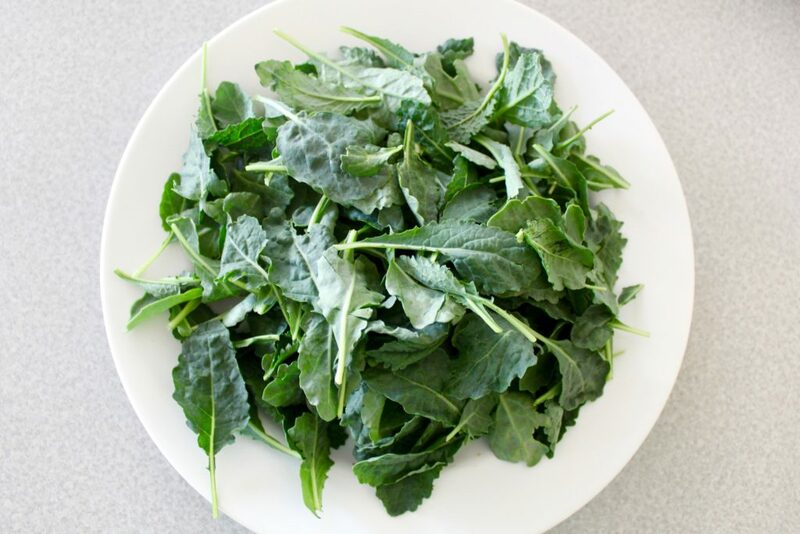 2 cups of raw kale will turn into one cup of cooked, containing 64 calories, 1 gram of fat, 4.4 grams of protein and 0 grams of sugar. 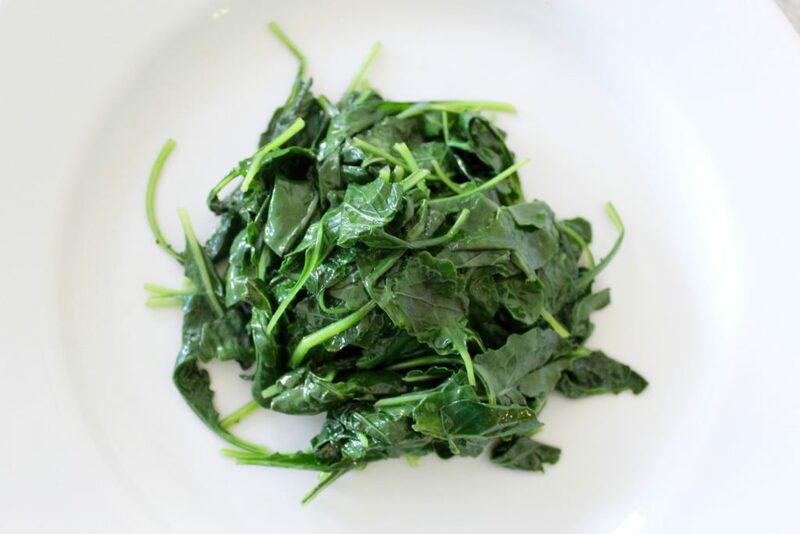 Check out these 17 recipes that prove cooked kale is king. 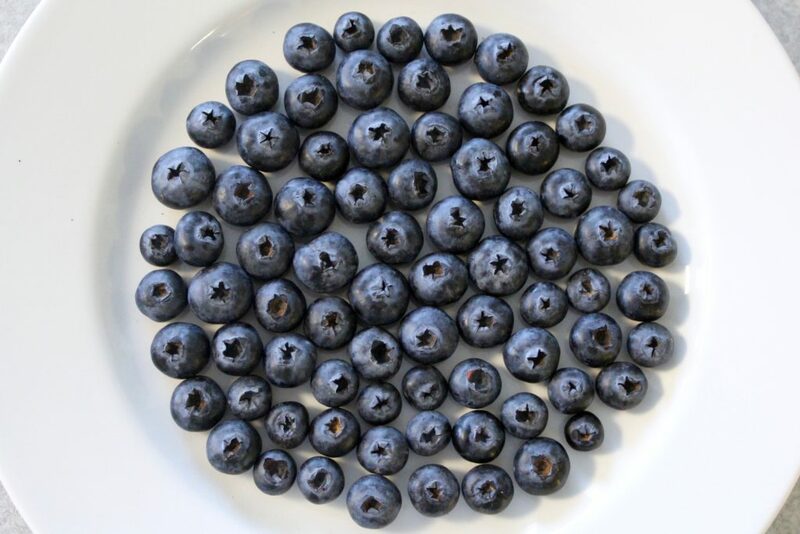 Nearly an entire package of blueberries, one cup contains 83 calories, 0.5 grams of fat, 1 gram of protein and 14.5 grams of sugar. Try this blueberry pancake pull-apart bread for a new twist on your favorite breakfast classic. A cup of these contains 62 calories, 0.7 grams of fat, 2 grams of protein and 8 grams of sugar. 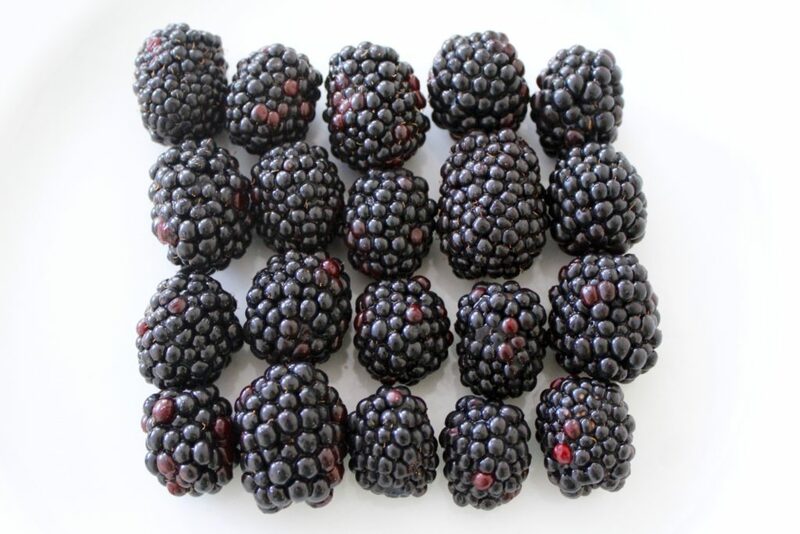 Find out here why blackberries are the summer’s most underrated fruit. So there you have it – say goodbye to serving size cluelessness. 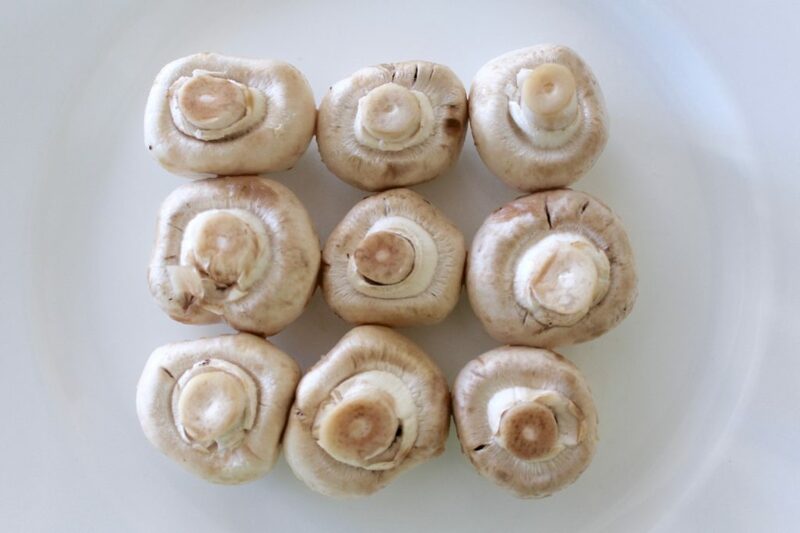 By no means should you feel compelled to consume 9 mushrooms in one sitting, but with this info you can go forth and make serving sizes easy. Focus on consciousness rather than just counting calories.